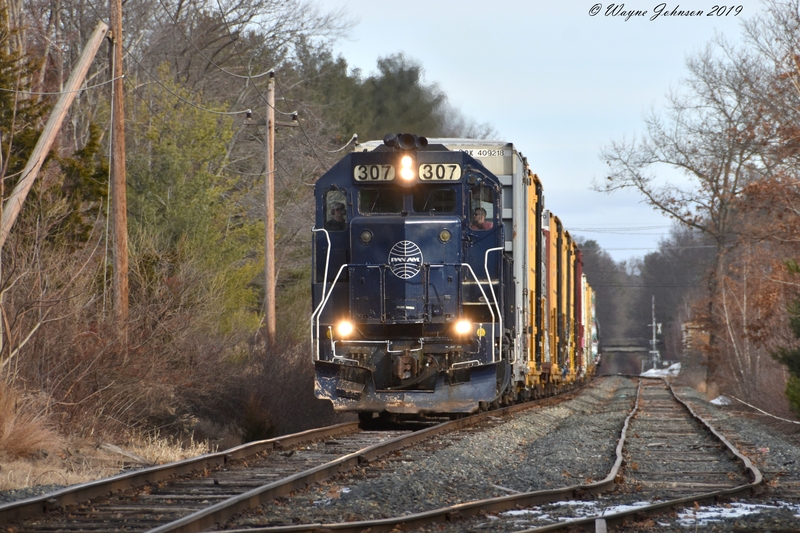 LA-3 passes the Tewksbury runaround on the "Lowell Branch" approaching MP 293 in Tewksbury, MA with 11 loads for the Billerica Shops. Photographed by Wayne Johnson, February 6, 2019. Added to the photo archive by Wayne Johnson, February 6, 2019.